Bob Eckstein is an illustrator, cartoonist, and writer whose work frequently appears in the New Yorker, the New York Times, and MAD magazine. He is author of Footnotes from the World's Greatest Bookstores, and his work has been exhibited in the Cartoon Art Museum of San Francisco, the Cartoon Museum of London, and the Smithsonian Institute. "The world of books is rich with subjects for humor: self-published novels, meet-the-author events, self-help books, memoirs, book clubs. 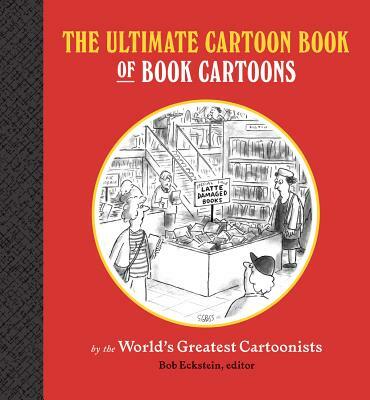 Thirty-three of the best cartoonists have their way with these and other literary-related topics in the new "The Ultimate Cartoon Book of Book Cartoons. "...So, if you feel like taking a break from the book you're currently reading, pick up this volume and partake in a time-honored tradition - looking at the pictures."